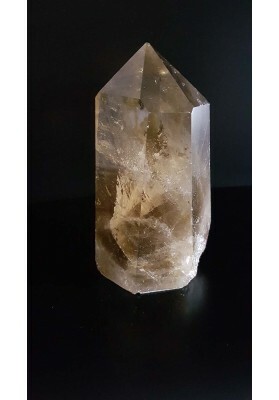 Crystals for Healing - Earth Minerals and Gemstones have powerful and amazing holistic healing abilities and have been used for healing from thousands of years and can be used in multiplicity of ways. 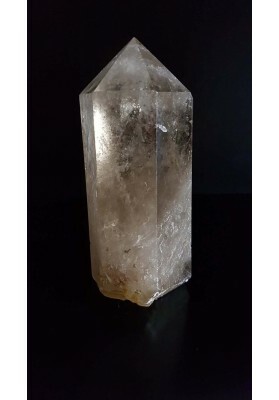 Ancient Civilizations, Royality, Shamans, Healers refers crystals as “Stone Entity” or “Wisdom Keepers" and had awareness of the metaphysical properties of Crystals which holds information of thousands or even millions of years of the Earth history within. Each type of mineral has a unique, distinguish structure, which vibrational energy generate healing properties and cures imbalances and stasis within the physical body and in the human energy field. Stones, Crystals and Earth Minerals holds within Universal Wisdom and provide us of their numerous healing properties. They are like a Rainbow Bridge and helps humans to maintain the link between the Earth and the Cosmos. Natural powers of Crystals and Earth Minerals supports and balance the human body, mind and spirit. Human bodies and crystals on a cellular levels are made up of silicon dioxide mineral and in natural way human bodies and energy fields are receptive and responds for the crystals vibrations.They generate, transmit, reflect, accumulate, and receive energy. Healing properties of Crystals and Gemstones can easy facilitate the free flow of throughout one's field. 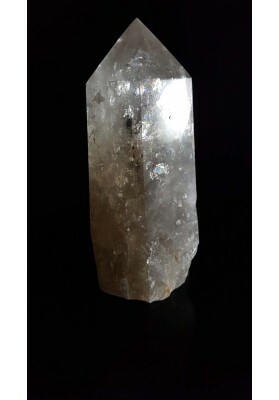 It's vibrational rate gives the crystals ability to heal. 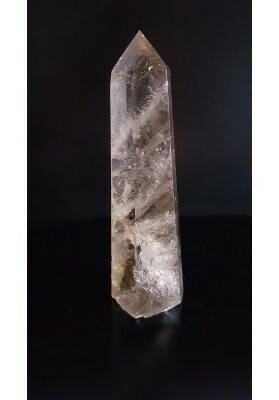 Crystals have piezoelectric properties which is the electric charge that accumulates in certain solid materials such as crystals and biological matter such as human bone and DNA and generate rate that gives the crystals their healing powers. 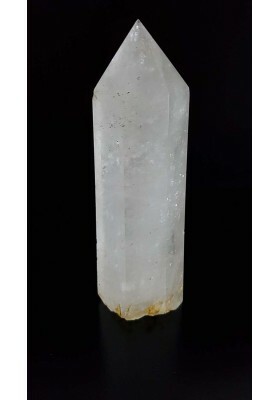 Made up of the same elements as crystal quartz, human body vibrate and resonate on energy level at the same frequency. Crystals and Earth Minerals heals and release mental, physical and spiritual blockages and have a positive influence on the whole human being, electromagnetic field and surrounding environment. Minerals, Crystals for healing may be used during life time for relaxation and meditation or they may guide you throughout life to provide balance, harmony and wellbeing on many levels. Crystals heals and provide the energy to support of the whole being and improve personal growth. Crystal healing therapy is a holistic approach which reminds that Healing takes place within Heart and Crystal Mineral Kingdom is here to support and harmonize at many levels and helps balance the mind, body, and spirit. Crystals are used in many ways such as meditation, spiritual development, healing and Reiki. Their energy helps to connect to Higher Guidance and Higher Realms. We have for sale a wide selection of Crystals HEALING and Minerals from around the world. They are unique, unusual and one of kind, each of them have own properties and availability. 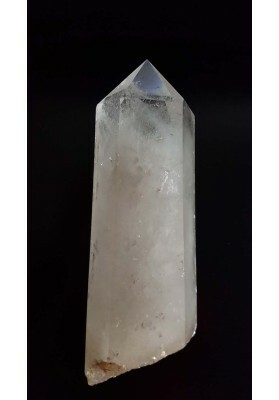 We provide gorgeous selection, many of crystals are rare and one off pieces. Crystals are highly recommended to regenerate the energy system and boost natural body's defence and maintain high vibration. Crystals are excellent for general cure and attune with the person requiring healing. They are used to treat the physical body, the subtle bodies and aura bringing balance and harmony. On an atomic level human cells and crystals are made up from same structure and both are a conductors of energy as a receiver and a transmitter. Crystals used for healing are valuable tools and they are safe and easy to use. Crystal healing uk energy promotes and enhances cure and repairing, assist to maintain well being and health. In addition, Crystal energize natural structures of crystals in the tissues and fluids of the body to resonate in the new, healing vibrations. Crystals are very helpful with stress relief or anxiety and fortifies nervous system. Minerals synchronizes the two halves of the brain and stimulates the glands work. Crystals are helpful to relieve hedeache or migrains. They are used to balance brain function and brings clarity, focus and awarensses. They are highly recommended for those who suffer from depression or emotional trauma. Crystals soothes shattered nerves and connects with the healing power of Nature. 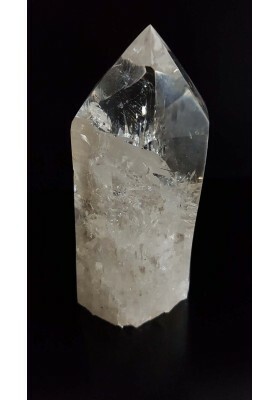 Crystals healing are great supporters to improve blood circulation and used as a tonic or crystalline water to eliminate toxins from the body. Great allies during cancer treatment. Very helpful to eliminate radiation from the energy system and soothes the effect after or during chemotherapy or radiotherapy. They recharge and restabilize after physical or psychic fatigue and restore health. Crystals helps to alleviate rheumatism, arthritis, fibromyalgia and bone disease symptoms. They also reduce pain and helps to relieve the physical stasis and clear stagnant energy. The energy of Crystals and Minerals easy worries also deepening phases of the dream and provide restful sleep curing insomnia. Crystals and Minerals helps with eating disorders like indigestion, weak peristalsis and helps to maintain healthy metabolism. Crystals neutralise electromagnetic interference, they dissolve radioactivity and they are natural re-radiator. Crystals are very effective as protection against negative influences or situations, they works like protective shield and transform low vibration. Crystals for healing can be use for clearing and protecting the energy in your environment like home, work place or car. The energy of stones are used for deep relaxation and enhancing meditative state. Crystals helps with confidence and low self-esteem. They assist and give a courage with life changing decisions and transitions during that period. Great tools to release from stuck or outworn patterns and habits. They motivate change and gives courage to make a step into new ways and bringing ideas or intentions into physical reality. Crystals are amazing allies which helps with manifestation. 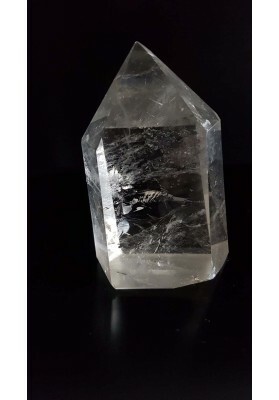 Crystals rise up communication skills also lead up to connection with Higher Guidance and helps to find out Soul Purpose and direction at life. Crystals develop of greater levels of happiness and expression of joy and connects with unconditional love. Crystals and Gemstones are used for visual beauty such as decorative element or jewellery. 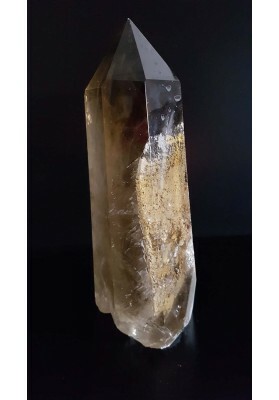 Healing occur as balance and stability, Crystals and Earth Minerals improves health, increase energy and vitality at many levels and in numerous ways. HEALING CRYSTALS There are 23 products. 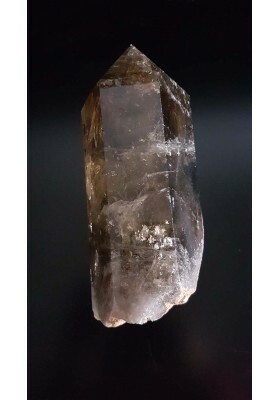 MATERIAL SMOKY QUARTZ WEIGHT 1365G/3lb LENGHT 88mm WIDTH 76mm HIGHT 153mm SMOKY QUARTZGrounding, Transformation of negative energies, Protection, Organization, Manifestation's, Strength and Stability, Seeker StoneThis mineral stimulate Root Chakra and honors its connection with Mother Earth. 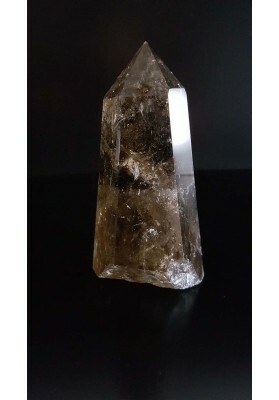 MATERIAL SMOKY QUARTZ WEIGHT 2159G/4.75lb LENGHT 90mm WIDTH 83mm HIGHT 223mm SMOKY QUARTZ Grounding, Transformation of negative energies, Protection, Organization, Manifestation's, Strength and Stability, Seeker StoneThis mineral stimulate Root Chakra and honors its connection with Mother Earth.